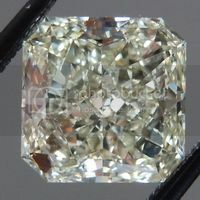 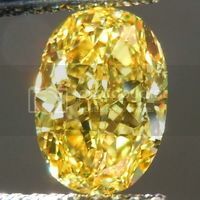 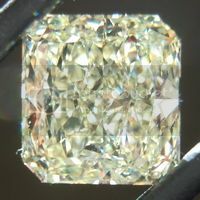 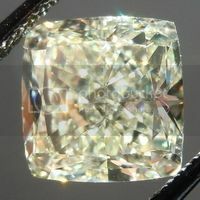 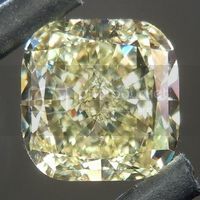 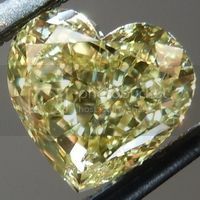 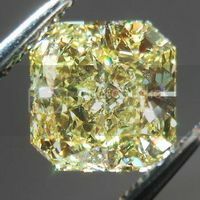 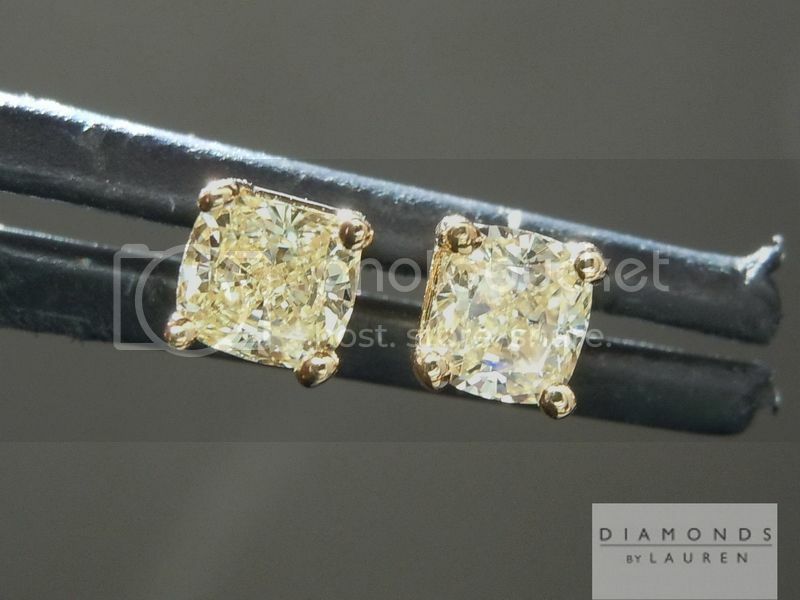 We recently bought a parcel of seriously great cut yellow cushion cut diamonds. 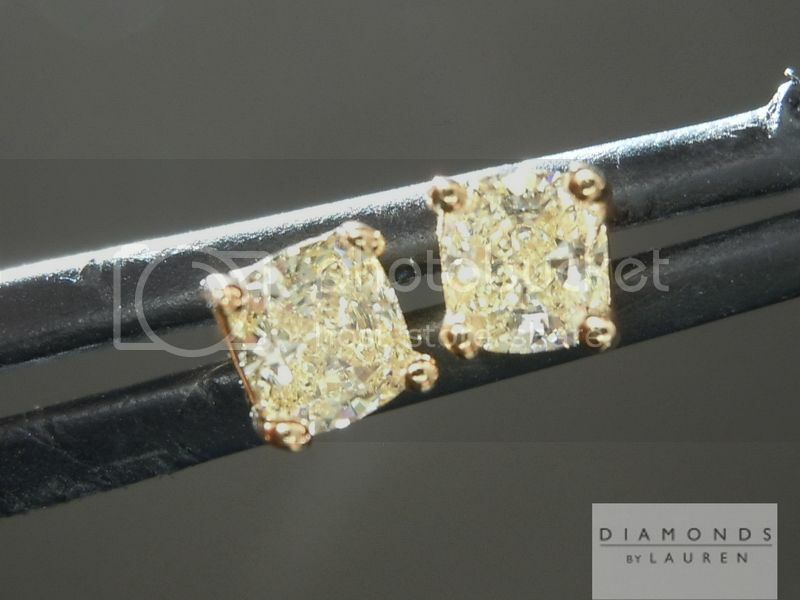 The larger sizes we get from this cutter always come back either VG/VG or EX/EX in symmetry and polish. 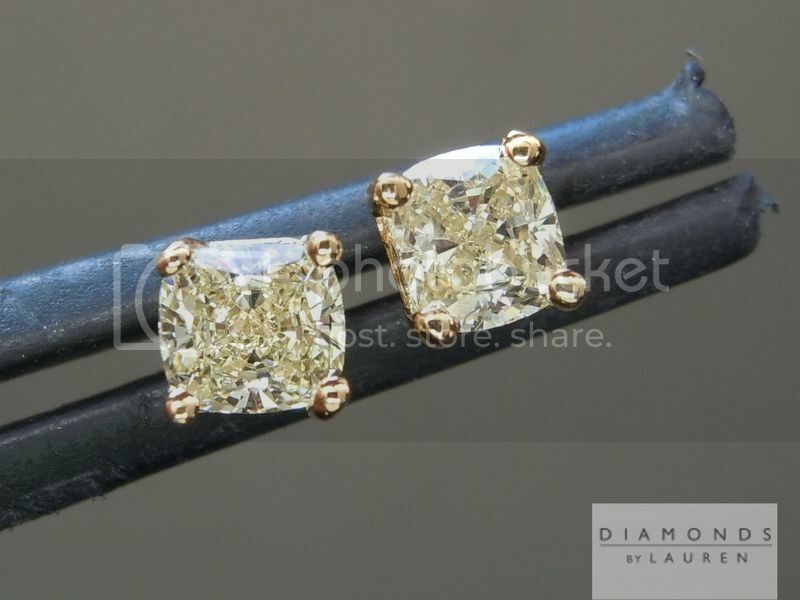 The diamonds in these earrings are stunning. 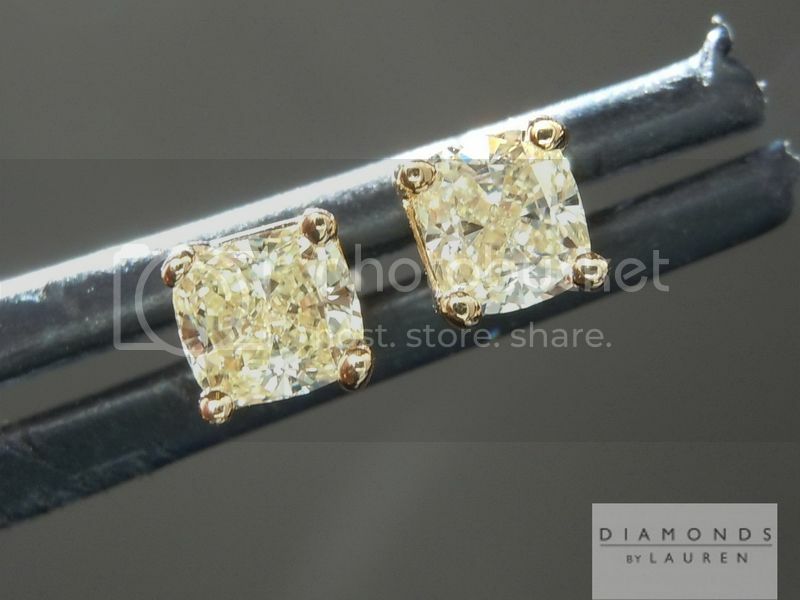 Both are well matched and well cut - lots of beautiful yellow sparkle. 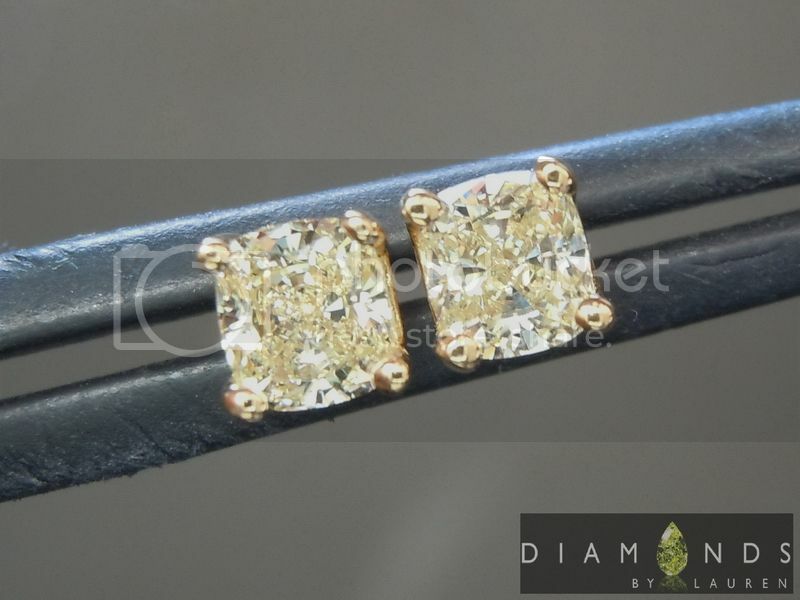 Set in 18kt yellow gold with sturdy friction backs.